The online casino industry is changing at a furious pace. New online casinos are launching with increasing frequency. 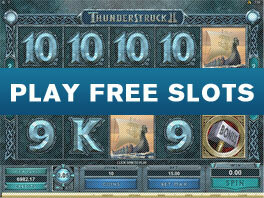 Several new casino games make their appearance every week. The legislative framework for online gambling is taking different shapes in different parts of the world. Unfortunately occasionally there is news of online casinos ripping off its players. To extract the best from the online casino industry a player has to be aware of the tricks of the trade and be up to date on all this information. Fortunately this is not as daunting a task as it may at first seem. A player need not surf through dozens of online news sites and online casinos. If he has to do so then he will have no time left for online gambling. There are reputed online sites that do all the “leg work” and provide the information at one portal. AllAboutSlots.com is the best of them. Editorials are different from news items because the information they provide is of an enduring nature. The AllAboutSlots.com collection of editorials is a virtual encyclopedia on online gambling that is constantly updated. Wherever a choice had to be made in online gambling, whether between online casinos, online casino games categories or even different variants of the same game, there will be an editorial available that will provide assistance. Players will find editorials on how to check for rogue casinos, how to manage bankrolls, how to gamble in a responsible manner and how to evaluate bonuses. The focus, however, will be on games’ strategies. Quite a few online casino games, like blackjack and video poker, are skill based games. The editorials will explain optimum strategy so that players can get the high average returns these games offer. Many software providers have included features of convenience like auto play and game statistics. The editorial will also explain how to use these to advantage. The AllAboutSlots.com News section is the result of checking out dozens of news items on a daily basis and presenting only what is useful and relevant. All that players need to do before they start wagering is take a look at the latest news items. It will take less than ten minutes and they will be completely updated. AllAboutSlots.com sources its news directly from online casinos, software providers, regulators and others involved in the online gambling industry. At AllAboutSlots.com players get the news on the latest games releases as soon as they are announced, along with the highlights of the features and screenshots. Similarly new online casino launches are covered in real time with comprehensive reviews. Players will be able to catch the latest bonuses, promotions and online tournaments. On a wider front, AllAboutSlots.com covers the latest developments in online gambling regulation and legislation. The scenario is volatile in both the United States and in Europe and a lot is happening every day.